The Australian carrier, which just cut 5,000 jobs, is struggling to compete against its loss-making, foreign-backed rival. 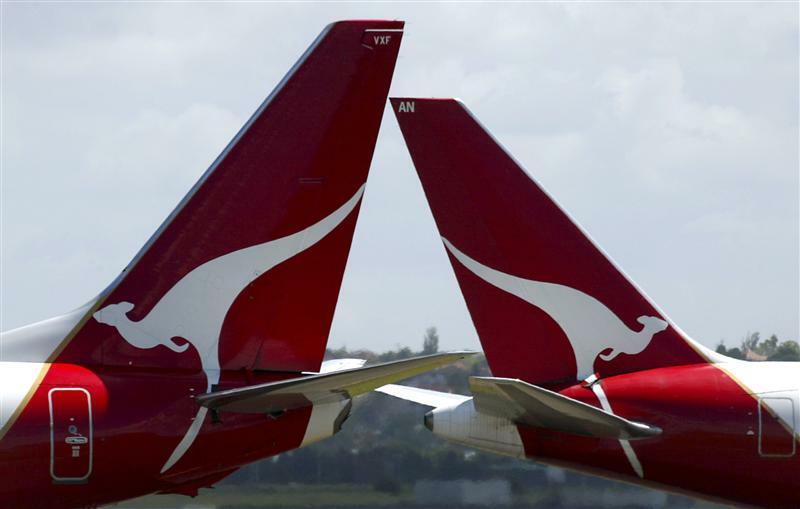 Lifting a cap on foreign ownership will only help if Qantas can find a deep-pocketed investor. A state guarantee for its debt may just extend the price war. Qantas and Virgin Australia each posted a loss for the six months ending December as capacity growth in the country’s airline market outpaced demand. On Feb. 27, Qantas said that it would cut 15 percent of its workforce and accelerate its plans to reduce costs by A$2 billion ($1.8 billion) over the next three years. Its shares closed 9 percent lower at A$1.155 on Feb. 27. Australia’s national carrier said its pre-tax loss was A$252 million in the six months to December – the first half of its fiscal year - compared with a pre-tax profit of A$220 million in the same period of 2012. Revenue shrunk 4.1 percent to A$7.9 billion over the same period. Qantas expects to increase overall capacity between 3 and 3.5 percent in the second half compared with the previous year. Net debt including operating lease liabilities stood at A$5.3 billion at the end of December. “We want to ensure that Qantas is not competing against its rivals with a ball and chain around its leg,” Prime Minister Tony Abbott said, speaking in parliament after the results were announced. On Feb. 28, Virgin Australia reported a net loss of A$83.7 million for the six months to December, down from a profit of A$23 million in the same period a year earlier. The airline did not give any guidance on how much it will expand capacity in the next six months. Virgin Australia shares were down 1.4 percent at A$0.35 on Feb. 28 at 0153 GMT.